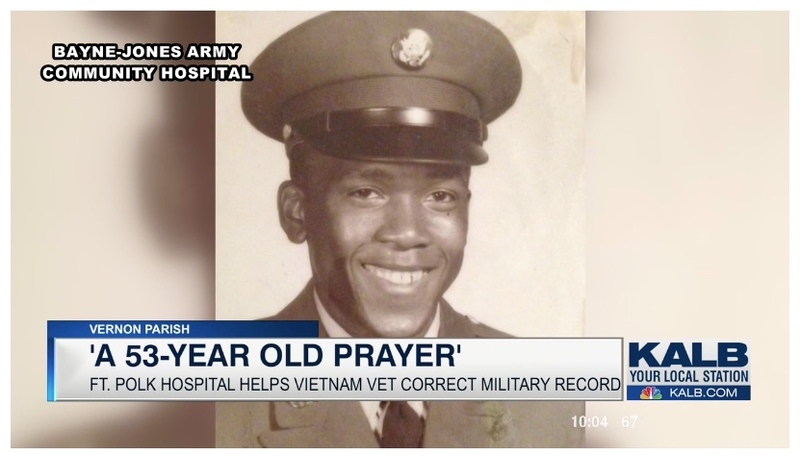 Dr. Gregory Grant, chief of medical boards and Marisol Lopez, a physical evaluation board liaison officer are part of the team who helped answer that prayer. Both are inspired by Pillette's story of patience and faith. FORT POLK, La. (KALB) - In 1965, Sgt. 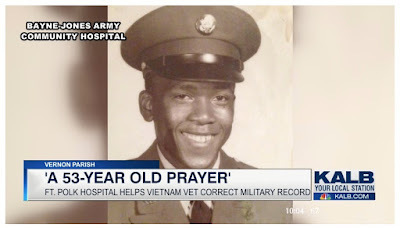 Kibbie Pillette, a combat medic with 5th Special Forces group was on a reconnaissance mission in Vietnam when he was shot in the back and mouth. He lost a third of his tongue and wasn't expected to be able to speak again. The only member of his platoon to survive, the Abbeville native would fight another battle once he got home: living with undiagnosed post-traumatic stress disorder.